Government intelligence agency GCHQ has released two 70-year-old papers by Alan Turing on the theory of code breaking. Turing is best known for being the father of modern computer science and his work at Bletchley Park on the Turing-Welchman Bombe to mechanise the process of breaking the German Enigma cipher. The papers discuss mathematical approaches to code breaking. A GCHQ mathematician said the fact that the papers, believed to have been written at Bletchley Park, had been restricted until now showed their importance, according to the BBC. Historians agree that the work done at Bletchley Park shortened the Second World War by at least two years, saving countless lives. The papers, released as part of celebrations to mark the centenary of Turing's birth, have been made available for public view at the National Archives at Kew in west London. 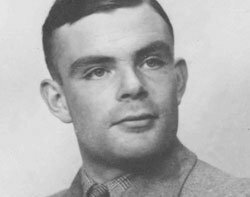 In February 2011, the National Heritage Memorial Fund (NHMF) stepped in to provide last-minute funding of £213,437 to keep other papers written by Turing in the UK. The public had already donated £28,500 to prevent the papers being sold to a private collector, with Google pledging $100,000. But further funds were needed to reach the asking price until the NHMF made its donation. The collection, which includes offprints of sixteen of Turing's eighteen published works including his famous paper On Computable Numbers, is housed at Bletchley Park.